You are currently browsing the category archive for the ‘Things to Love’ category. 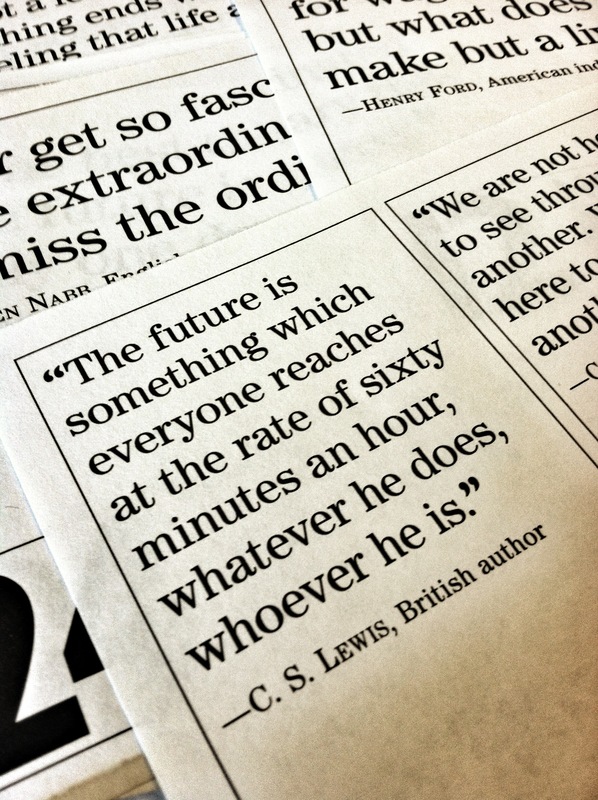 Here are the last two of my favorite quotes from my 2013 desk calendar. I have now cleared out my desk drawer of all the sheets that were torn off and stuffed into the drawer for future reference! “In times like the present, men should utter nothing for which they would not willingly be responsible through time and eternity.” ~Abraham Lincoln. Hope you enjoyed this little series. Are there any quotes that you’ve found inspiring or helpful through the past year? Share them! January 21 – “Continue to work with the faith that unearned suffering is redemptive.” Martin Luther King Jr.
Every year, for as long as I can remember, my dad has gotten me a calendar for Christmas. Wall calendars, desk calendars—every year it’s something different based on current interests or hobbies. I love the tradition. For 2013, dad got me a quote of the day desk calendar, and I’ve enjoyed pulling off each page and reading the little blurb of wisdom before I buckle down and get some work done. Over the next couple weeks, I’ll share some of my favorites. On the subject of well-intentioned posts from YEARS ago. In July of 2010 – yes, three years ago – I intended to post about a few places we visited on a trip out to Illinois. I figured I should clear the post out of the drafts and release it to the world. Only two places had been written about. One was a gift shop that is now closed. Sorry Anecdotes. I’m sure my blog post would not have saved you. The other place is Baja Burrito in Nashville, TN. We swung through Nashville to see a concert on our drive home from the Great Plains. 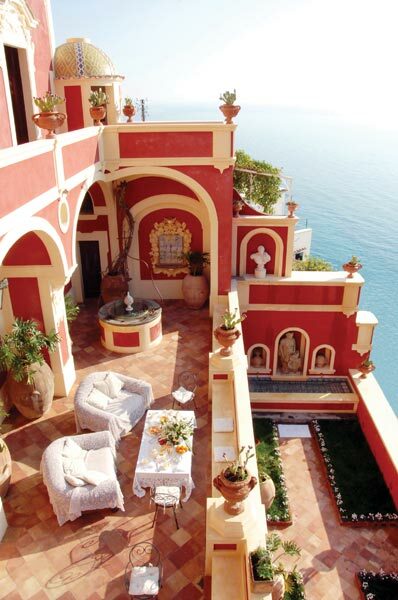 It’s still worth telling you to go there. Eat a burrito for me. Enjoy it. Savor the flavor. Then go see a concert. It makes for a memorable day if you ask me! I started this post back in 2011. Um. . . Crazy. Originally it was about three books I had bought in September of that year. I’ve bought WAY more than three books since I wrote this post. S also gave me a kindle since then, which has revolutionized reading for me. These books are still worth sharing, and you should still add them to your shelf —so here goes! 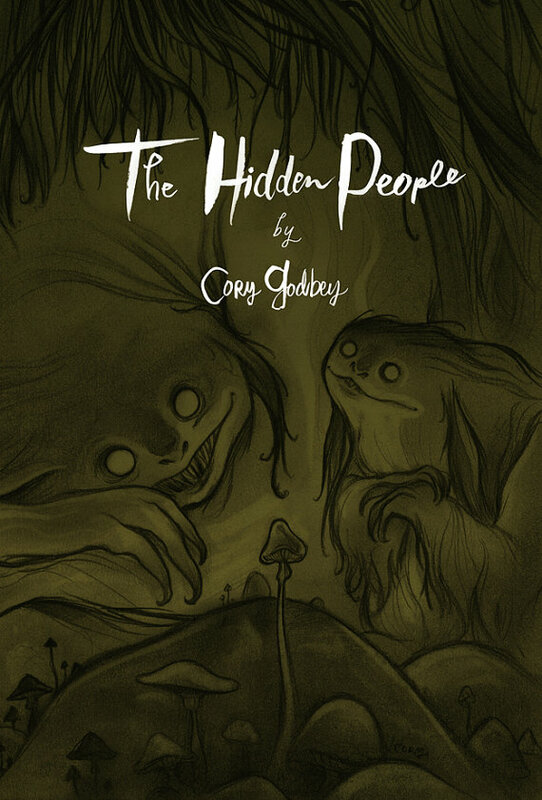 The Hidden People is a sketchbook by illustrator Cory Godbey. Whimsical and fantastic creatures bring a smile at every turn of the page. My husband and I were super happy to be able to snag a signed copy from Cory at the Indie Craft Parade in 2011, and you can get still get your very own copy on Etsy! Since getting The Hidden People, we have also added Cory’s newest sketchbook, Menagerie, to our library as well. Again, it’s awesome, and you need a copy. 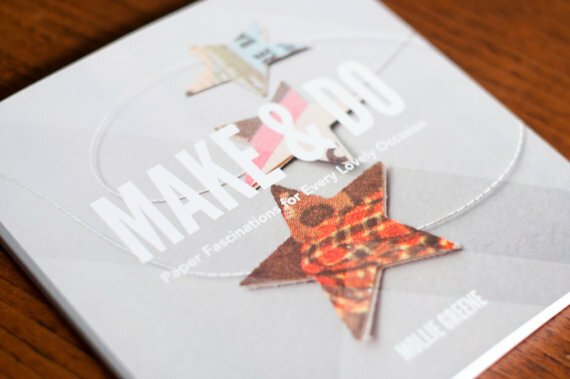 I picked up Make & Do from Mollie Greene back in yesteryear as well—via Etsy, where else? Sweet paper crafts fill the pages – which is probably why she has a new book coming out in June actually called Sweet Paper Crafts! It’s available for pre-order on Amazon. I made a mobile of dog cut outs from an idea in the book. It may not be practical, but a mobile of patterned paper puppies is super cute to have hanging around. Life Together, Dietrich Bonhoeffer – Amazing, convicting, though provoking. Been going through with a good friend over coffee in the morning. Faithful Women and Their Extraordinary God, Noel Piper – Five stories about five awesome women. Lilias Trotter was probably my favorite in the book, but all the women were inspiring. The Great Gatsby, F. Scott Fitzgerald – Wanted to refresh my memory since the movie is coming out. The story made me sad for all the characters in it. Under Wildwood, Colin Meloy – Very cool illustrations. Great sequel to the first book, Wildwood. SPOILER ALERT: It’s a cliff hanger. Prince Caspian, C.S. Lewis – Classic. Adventurous. Reading for the millionth time. The Meaning of Marriage, Tim Keller – I would recommend this book to anyone—regardless of your marriage status. It’s about relationships pointing to Christ. Very insightful. AND finally – I just can’t wait for the fourth book in the Wingfeather Saga by Andrew Peterson to come out! Dear Andrew, please hurry writing. I know your computer crashed and everything was lost. But I have to know what happens next! I was sad to hear that Annette Funicello passed away this past Monday. I loved watching the original Mickey Mouse club when I was little, and I’ll never forget the time that my mom, sister and I watched Escapade in Florence, starring Annette. “Dream Boy”? That scooter chase? Priceless. But now it’s time to say goodbye, and a little design tribute seemed in order. MIC – See you real soon, KEY – why? Because we like you, Annette. 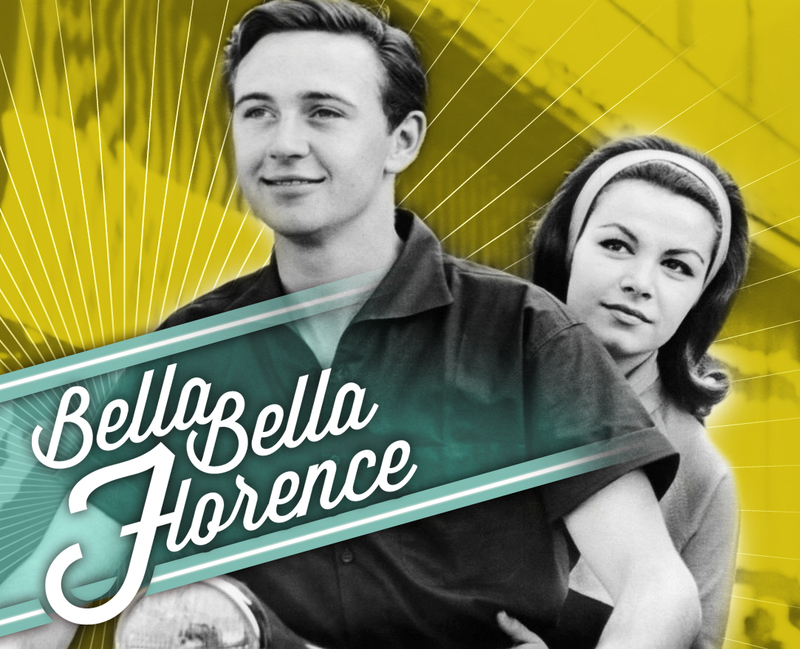 I doubt that many people have ever heard the “Dream Boy” song from Escapade in Florence. Thankfully, there’s a you tube video for that! Check it out, it will brighten your day. Monday Inspiration – Almost Fall! The tree outside my office window has produced about seven red leaves, and I am getting so anxious for fall—cooler weather, warm and savory foods, the company of good friends, and amazing apple concoctions of all kinds! In preparation for all of the above, I’m reposting a delicious recipe that has become one of my all time favorite fall treats. 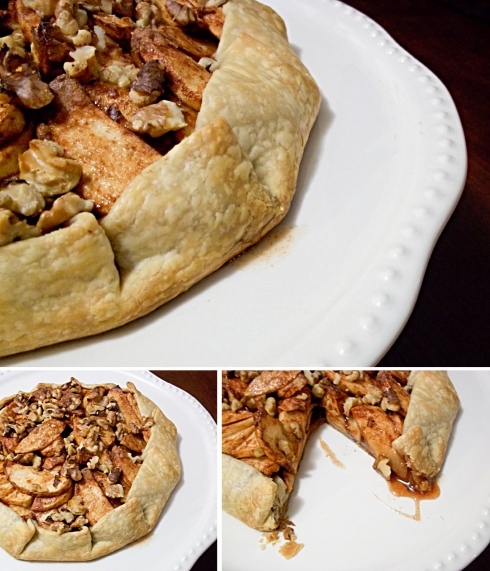 You can read my original post about the delectable Cinnamon-Apple Crostata (with my tips for making this even EASIER to make) or you can skip on over to Pillsbury.com for the recipe. I’ve been watching a lot of I Love Lucy lately ever since my husband got me the 9 season, 2 bonus disc, collector’s edition box set for our anniversary. Happy two years, Honey! I have loved that show ever since I was a kid—recording three hours off Nick At Nite each week in the summer, finding Lucy mugs and postcards, and even having a Lucy themed party for my 11th birthday. My mom made it special by creating a retro theme and bought everything she could find that was Lucy. She even had cupcakes made with the little dolls you can put in the top to make the cake look like the skirt. The cake maker dyed their hair red at my mom’s request, just like Lucy’s! It was pretty special—thanks Mom!! I realized last night as I watched “The Audition” (which I discovered is the same exact plot—AND script!—as the unreleased pilot, discovered in 1990 or something like that) that this is the 60th anniversary of the first season of the show! 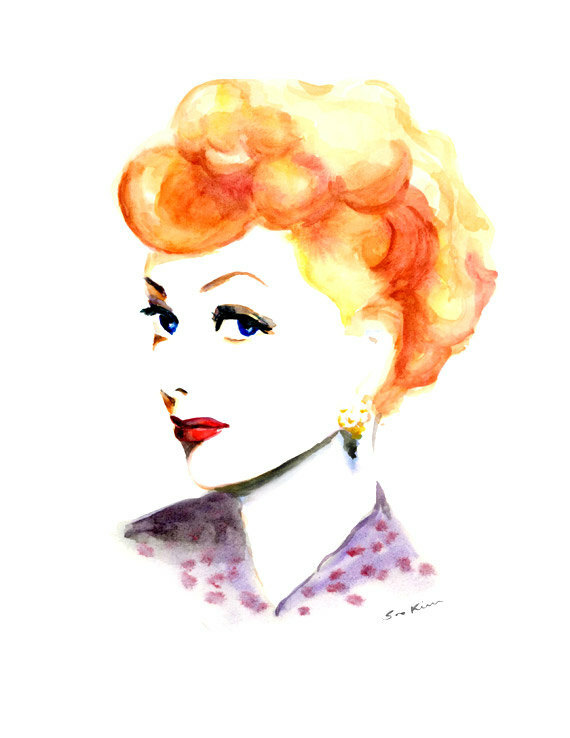 I just love the simplistic, slap-stick, hilarity that is I Love Lucy, and I think that is why so many people like me have fallen in love with the show over the years. So happy anniversary, Lucy! I’m enjoying watching the show even a lifetime later!